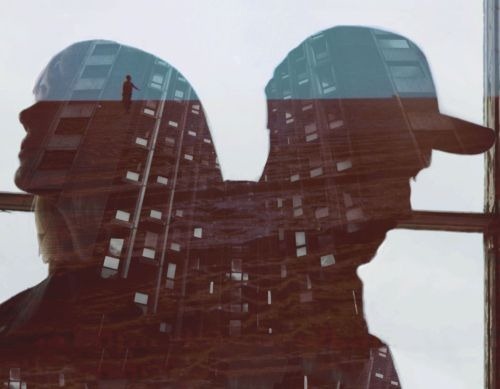 Enigmatic London ElectroPop duo Avec Sans are back with a new tune. We’ve been eager for more since they dropped their first original tune, Heartbreak Hi, we’ve had our fingers crossed for these guys that it wasn’t a one-off, or a fluke. Those fears have just been assuaged. The Answer is Avec Sans new tune, and with it came a press release that finally gives us in insight into who these two are. Alice Fox and Jack St James. A Trinidadian international man of mystery and a Mancunian ex-badass, both of whom have done the rounds, and paid their dues, in various bands and musical projects, make up Avec Sans and the background in gigging bands shines though in The Answer. If you said to me that this was a track created by a guy who has experimented with many different forms of electronic music and a vocalist who cut her teeth on the Indie band circuit, I would say that’s exactly what it is. Intricately crafted dance music with a passionate, live, vocal. It’s an anthemic slice of ElectroPop with a real rush of energy for the chorus. The single is flipped with a reMix from Bill Posters and Will Power, why more and more electronic artists feel the need to get uninspired lowest-common-denominator dance music reMixes done I’ll never understand. the reMix is good at what it does, I suppose, but what it does is a bit blah and by-the-numbers. Skipping to the end; Heartbreak Hi definitely wasn’t a fluke, and Avec Sans are definitely amazing..
You can download the tracks now on Facebook and The Answer will get a proper release 10th December. I don’t usually respond to posts but I will in this case. Fascinating article. Exactly where did you got all the information from? Regardless thank you for this terrific article!